Over the years Malta has served as a magnificent film location for both Hollywood blockbusters and small independent movies. 2016 has been no exception to the rule, as this idyllic island will be featured in a number of upcoming box office hits. Turquoise lagoons, concealed coves, prehistoric temples, and unscathed cliffs... who can blame the rich and famous for wanting to film on a piece of these precious islands? 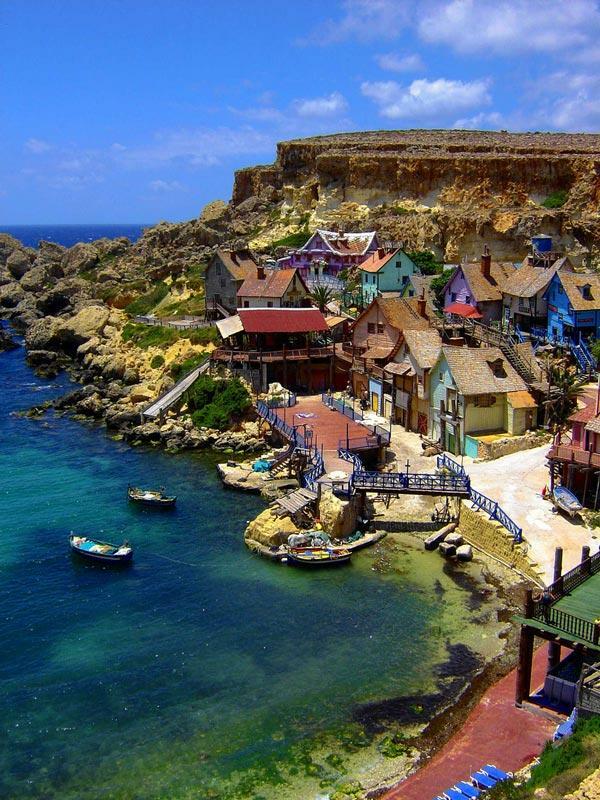 Here’s the lowdown on some of the films that have recently been shot in Malta. Based on the popular video game, 'Assassin’s Creed' looks like its going to be a high octane movie, and will feature Michael Fassbender and Marion Cotillard, leaping from roof to roof among the baroque architecture. With Malta’s timeless beauty and deep historical architectural roots, it is the perfect backdrop for the flick, which is about a revolutionary technology that unlocks genetic memories. Directed by Luc Besson and considered to be one of the most ambitious international movies of the year, 'The Lake' consists of over 6 months filming in Malta with a high profile cast featuring actors J.K Simmons, Sullivan Stapleton, and Ewen Bremner. Basically, this picture is an underwater drama set around a team of navy seals who discover an underwater treasure. Where else to film such aquatic endeavors than in the mysterious and tranquil sea surrounding Malta, recently voted third best diving destination in the world? One of the most anticipated blockbusters showcasing Malta's luscious backdrop is 'The Mercy', starring a prestigious cast led by Rachel Weisz and Colin Firth. Adapted from a fascinating real-life story about the amateur yachtsman, Donald Crowhurst, this bio-pic centers around one man's failed attempt to win the 1968 Golden Globe Race, thus creating a disastrous tale of travelling the world alone by sea to cover up his failure. 'The Promise' is a historical drama directed by Oscar winner Terry George and starring Oscar winner Christian Bale. Essentially, this film turns the quaint streets of Malta into the last days of the Ottoman Empire, incorporating its historic and alluring landscape as the backdrop to a drama-filled with both love and hate. Now what do all these releases have in common apart from A-list talent, set in Malta? By in large their scripts required an unflawed nautical landscape with an aesthetically gorgeous setting, plus they had to be able to distort time and create a sense of antiquity. It’s no wonder the Malta Film Commission is continually able to attract such high calibre productions to its historic and beautiful panoramas.